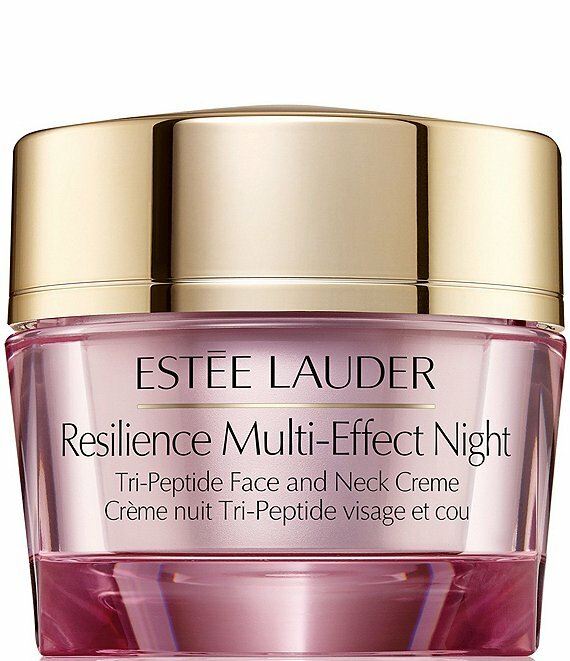 This rich night creme reveals a more lifted, youthful look while you sleep. Skin feels firmer, denser as elasticity increases. Lines and wrinkles look diminished. Radiance is restored. Skin stays intensely nourished all night, so you wake up glowing with a fresh, healthy look. Our powerful Tri-Peptide Lift Complex helps skin build its natural collagen to strengthen its natural support. Add an energizing hydration boost by using as a weekly mask. To use as a weekly mask, apply generously and leave on for 10 minutes, then tissue off.